Sisters Eva and Liane Münzer in hiding. Because no two experiences during the Holocaust were the same, this lesson seeks to provide students the means to be exposed to as well as analyze, synthesize, and reflect upon various aspects of life in hiding. This lesson will take between three and five days. The Holocaust included a wide array of experiences. Hiding was not an easy solution or a simple choice. Coping mechanisms exist within the human psyche to survive extreme danger, dilemmas, the disruption of life, and multiple hardships. The recording of feelings, experiences, and daily life activities through writing can serve as catharsis, as well as have far-reaching effects, including leaving a legacy and giving a unique perspective into history. Students will DEFINE and consequently IDENTIFY what choiceless choices are/may be. Students will DETERMINE commonalities shared with others their age, whether now or 60 years ago, to COMPARE and RELATE in some way. Students will DISTINGUISH significant events within the chronology of the Holocaust. Students will EXAMINE a variety of stories of hidden children to GENERATE and ASSESS factors associated with hiding and surviving. Students will DIFFERENTIATE between hiding that was physical isolation versus hiding where identity was concealed. Students will ANALYZE a first-person story of hiding and WRITE their own personal response. Students will APPRAISE the significance of using writing as a means of recording and expressing feelings and experiences. Within my Holocaust studies semester-long elective course, I approach this particular lesson within a larger unit on resistance during the Holocaust, and more specifically, as a part of the sub-theme “Choiceless Choices." They couldn’t tell you where they would take the children to. Because if you were caught, what you didn’t know you couldn’t tell, should you be tortured. My aunt wouldn’t let her child go; she could not bring herself to let him go. My mom took the risk. We’re alive, my little cousin is not. -- Flora Mendelowicz, 12 years old when she went into hiding in various convents in Belgium. From Life in Shadows Study Guide. Share the above quote with students, either on an overhead or a handout to begin the lesson on hidden children. Discuss it and the notion of ‘choiceless choices’. Have the class create their own definition that you record for them to see. Following the students’ definition, provide the reading, “A Letter to the Woman Who Will Find My Daughter” from Michael Berenbaum’s Witness to the Holocaust (attached). Read it to the class and discuss the choiceless choice here. Should anyone ever have to make this choice? What does giving up that child mean? What risks are involved to all sides? Then give each group a different USHMM identification card (of which you have already sorted out all HIDDEN children, approximately nine; link included in resources) and explain that these people were hidden during the Holocaust in some way. Have students read it together as a group and then record: Do they, as a group, have anything in common with that person? If so, what? Do any of them, as individuals, share any commonalities with that person? And if so, what? After groups have completed this task, give them a general timeline of the chronology of the Holocaust (USHMM Teacher Resource Guide, link attached) to compare to the ID card’s timeline. What do they notice? What were the significant events in the chronology of both? How did these events affect the individual? Have students turn in their group’s recordings for today. Hand out copies of the National Geographic online Adventure Magazine article, “The Darkest Days” (attached), about a family of Jews in the Ukraine who survived the Holocaust by hiding in caves. Read the article in class in whatever way the teacher chooses—pairs, groups, teacher reads, etc. For the sake of comprehension, discuss the story of this family’s survival, as well as the legacy of a life in hiding still in existence today. Once again, divide class into small groups and have them generate a list of factors they think would be necessary to hide or escape detection. Once they have created this, have them generate a list of factors that they think would constantly threaten to expose those in hiding. Once both lists are complete, they should compare these lists—does the group see any formulas for survival? If so, explain. If not, why not? What do these lists of factors reveal about the daily realities of life in hiding? Hand in group work. Come together as a group to discuss and process what they have learned through this, including the factors necessary for ‘hiding’, the factors that threatened exposure, and the formulas (if any) for survival. I also think I shouldn’t be writing all this. I cannot imagine what would happen if they found it, God forbid. On the other hand, I’m so lonely. So many important things are happening in the world arena…. I have to express myself more often and… more sincerely. I am reading what I have just written and it seems to be very naïve and silly. But this is my way of thinking. -- Else Binder, in her diary written in the Stanislawów ghetto, Poland, December 27, 1941. From Life in Shadows Study Guide. Share the above quote with students, either on an overhead or a handout to continue the lesson on hidden children, but to narrow the focus a little. Discuss it and why writing can be a useful, necessary, or cathartic tool in surviving different situations. Now give students an excerpt of a hidden child’s diary or journal to read together as a class. Discuss how writing can give a uniquely personal perspective of a firsthand encounter with history, and how it can also be used as a tool to record feelings, experiences, and events in your life. What historical information is given within this piece of writing? What insight can be gained through this particular piece concerning feelings the writer is having? How is his/her life being disrupted or affected? Why do you think he/she made the choice to record life in writing? This next part requires some work on the part of the teacher, but is definitely worthwhile. Find enough excerpts of different hidden children’s stories, diary entries, or journal entries to give each student in class a different excerpt of a first-person narrative authored by someone who was hidden. Students could use this day to work on their individual assignment, or if it was done as homework, the class could again discuss and compare the different stories each read, making lists on the board, and processing the variety of experiences that were all a part of the Holocaust, specifically that of life in hiding. As a conclusion that pulls the lesson all together, provide some sort of visual for students. This can be done several different ways: show a video clip or short excerpt of a story of someone in hiding, perhaps from the newest Anne Frank movie or even a scene from The Pianist (see also, Other Resources in the Life in Shadows Study Guide, link included); visit the Life in Shadows traveling exhibition or have the class take a virtual tour through the USHMM online exhibition (link included); or create a power point for students of artifacts, maps, and photos of hidden children using the USHMM photo archives (link included). 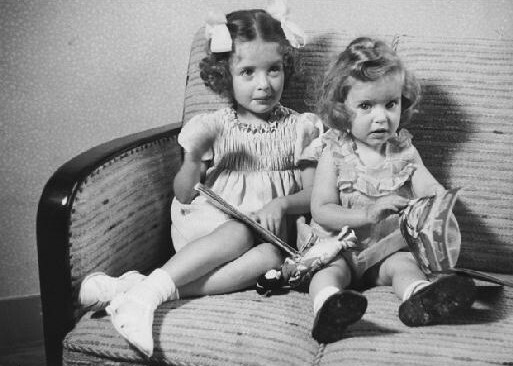 Life in Shadows: Hidden Children and the Holocaust. USHMM online exhibition. Life in Shadows: Hidden Children and the Holocaust Study Guide. USHMM teacher support material. Ostergard, Carey. “The Darkest Days.” National Geographic Adventure Magazine. June/July 2004. Note: This reading is provided as a Microsoft Word attachment by permission of the publisher. Teaching about the Holocaust: A Resource Book for Educators. USHMM teacher support material. Appleman-Jurman, Alicia. Alicia: My Story. New York : Bantam Books, 1988. Berenbaum, Michael. “A Letter to the Woman Who Will Find My Daughter” in Witness to the Holocaust. New York: HarperCollins, 1997. Holliday, Laurel. Children in the Holocaust and World War II : Their Secret Diaries. New York: Pocket Books, 1995. Students may be assessed several different ways during this short unit, including classroom sharing and participation in discussions. Teachers can also collect and evaluate the commonalities list, the ID card comparison, and the timeline analysis from first set of group work completed. The list of factors of hiding/non-detection and of formulas for survival from the second set of group work can also be assessed. Teachers can also evaluate this lesson through the students’ personal responses to/analysis of first-person narratives.